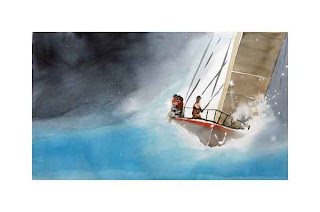 This is my latest piece showing a group of sailors emerging from the storm. It depicts the personal battles we all face in life, the storm that we all weather at one time or the other. And in the end, we all emerge a better person.